Your skin can start to look blotchy and tired after years of sun damage, acne scars, and the natural process of aging. In as little as one treatment, your wrinkles, blotchiness, and scars can all be treated with laser resurfacing technology. This kind of procedure was once very painful and required a long recovery period. Now, however, technology has advanced to give us laser treatments that require virtually no downtime and produce great results. There is a variety of lasers available that can be used on the hands, arms, chest, neck, and face. With so many advances in laser therapy technology, many more patients are considered good candidates. Candidates for laser resurfacing therapy have rough skin, pigmentation issues, fines lines and wrinkles, or sun damage that they wish to treat without having to undergo a surgical procedure. They should be in good general health and have realistic expectations about their results. Certain factors, such as the thickness, tone, and texture of your skin, may influence the type of therapy used, but your doctor will decide with you during your consultation. The ClearLift laser treatment is a non-ablative laser therapy. This means that it does not destroy the outer layers of skin, resulting in a much more comfortable experience and speedy recovery. It is used to treat skin with scarring and pigmentation irregularities. Heat is sent into deeper layers of the skin to heal and tighten without causing damage to the outer layers of skin. This treatment is perfect for those who are looking for a solution to reduce fine lines and wrinkles around their eyes and mouth. It can be completed in 30 minutes to one hour, and there is no downtime. It is often used by celebrities who need to attend an event on the same day as their procedure. The Pixel 2940 is an ablative laser therapy. As it is passed over the skin, the laser vaporizes the water in the outermost layers of skin, creating tiny, pixel-sized wounds. This stimulates the skin’s natural healing process and encourages collagen production. Once healed, the skin will look tighter and smoother. This treatment is safe for the delicate skin on the neck, chest, and hands and requires no pain relief, unlike older laser therapies. This option is perfect for patients who have aged or sun-damaged skin. There is little to no downtime, and it can take as little as two to four sessions to see results. This treatment is not recommended for patients with very dark skin, as the healing process can result in pigmentation issues. Patients interested in vShape laser treatment are looking for a non-invasive way to eliminate stubborn fat on areas of the body that are difficult to target with diet and exercise. They also have loose skin that can be corrected without a surgical procedure. Radiofrequency (RF) energy is combined with a mechanical massage to remove pockets of fat and tighten skin. The machine simultaneously heats and cools the skin to prevent pain. This stimulates healing and collagen production while leaving the outer layers of skin intact. Multiple treatment sessions are typically recommended, usually spaced about two weeks apart. There is no downtime, and the treatment is suitable for all skin types. Many issues can be treated using laser resurfacing treatments. New technologies have made it so that you can have a fresh, radiant look without the need for invasive procedures and long recovery periods. How Can Laser Therapy Make Me Look and Feel Younger? Young skin is smooth and radiant, so roughness or an uneven tone can make you look much older. With so many options for skin resurfacing, it can be challenging to figure out which method might be best for you. Because the type of treatment chosen is so dependent on the individual, it’s hard to know where to start. While your doctor will be able to tailor a treatment to your needs, it never hurts to arrive armed with some knowledge of what you may require. Discoloration (such as red and brown spots due to sun damage) is best treated using a non-ablative treatment. Deeper layers of the skin are treated without causing damage to the outer layers. This helps your skin heal quickly and requires almost no downtime after your procedure. If discoloration is your primary concern, then you may not require more aggressive treatment. An even complexion is an easy way to look and feel younger without the need for more invasive procedures. If you are concerned about fine lines and wrinkles, it is likely that your doctor will recommend a fractional laser treatment to rejuvenate your skin and minimize these noticeable signs of aging. Fractional lasers make tiny “pinprick” wounds in the skin to stimulate the body’s healing processes and naturally resurface the skin. These therapies can be either ablative (removes layers of skin) or non-ablative (applies heat to the deeper layers of skin) depending on the severity of your wrinkles. Non-ablative lasers can be used for more superficial creases, but results may not be apparent quite as quickly and may necessitate multiple sessions. The best choice for treating scarring is an ablative treatment, either with a fractional laser or other ablative therapy. Because layers of skin are removed, recovery time will be longer. However, the results are more dramatic than different approaches. 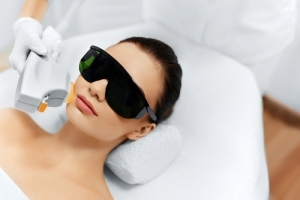 Ablative laser therapies soften the sharp edges of scars and smooth rough skin. Acne and other scars can be fairly deep in the skin, so a non-ablative treatment may not be aggressive enough. The most important thing to consider when looking into laser skin resurfacing is not necessarily the type of laser or the brand name, but rather the depth of treatment. Your doctor may recommend a combination of laser treatments depending on the issues that need to be addressed. Laser resurfacing treatments can also be combined with procedures such as a facelift or eyelid surgery to achieve optimal results. With such a short recovery period, you can look and feel younger quickly when you opt for laser therapy. During your consultation, make sure to communicate all of your concerns and questions with your specialist so they can create a treatment plan that will work for your specific needs. To learn more about which laser therapy may be the right one for you, contact our office at (310) 857-2088 to schedule a consultation. For many years, if patients wanted to combat the noticeable signs of aging, they were left with only one option: surgery. And while procedures like the facelift, brow lift, and eyelid lift all provide stunning results that are guaranteed to leave you looking and feeling younger, they come with some negative aspects. Surgical procedures are invasive, there are risks involved, and they are more expensive than their non-surgical counterparts. Everyone desires to keep their skin and facial structure looking youthful and refreshed, but not everyone is ready to undergo surgery. Whether it is fear of the knife, fear of looking as though work has been done, or the inability to take the one to two weeks of recovery time, surgery isn’t for everyone. Fortunately, advancements in non-surgical cosmetic procedures have created many treatments that provide similar results as surgery but without the incisions, scars, or downtime. Injectable treatments are among the fastest growing cosmetic procedures performed today. These injections address the signs of aging to rejuvenate your appearance. 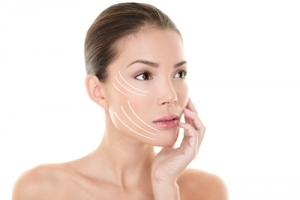 Here at Face Center LA, we are happy to provide our patients with several options for injectable facial treatments. BOTOX® Cosmetic is the most widely known injectable treatment on the market. Made from botulinum toxin, BOTOX® Cosmetic eliminates crow’s feet, frown lines, forehead lines, and brow furrows by relaxing the muscles that cause the wrinkles. RADIESSE® volumizing filler uses crystals that are injected beneath the skin to lessen the appearance of sagging, wrinkling, and folding on the face. It can also treat mild to severe cases of facial aging. RADIESSE® stimulates collagen production in the chin and cheeks, giving you more youthful, glowing, and natural-looking results. Restylane® is a hyaluronic acid injectable that can be used to reduce the appearance of laugh, lipstick, and marionette lines. It can also plump lips regardless of whether the lips are naturally thin or have thinned over time. JUVÉDERM® is another hyaluronic acid injectable that addresses fine lines, wrinkles, and places on the face that have lost volume, such as around the mouth, cheeks, and lips. These injectable treatments are non-invasive options for combating the signs of facial aging. There is no general anesthesia needed or a recovery period, nor are there long incisions or scarring. You may experience bruising, redness, and swelling in the initial days after the procedure, but this is minor and will not prevent you from going to work or participating in the activities you love. With surgery, you have to wait weeks if not months to see your results. The results of facial injections, however, are noticeable immediately following the procedure or as soon as the swelling and redness subside. While these injectable treatments are not permanent, they can be long-lasting, ranging from a couple of months to one or two years, and the procedure can be repeated as necessary. Facial injections are a perfect introduction to cosmetic procedures, whether you are looking to combat the signs of aging or trying out fuller and more luscious lips. Injections, such as BOTOX® Cosmetic and facial fillers, are not your only option for non-surgical facial rejuvenation. Microneedling treats fine lines and wrinkles as well as scars, stretch marks, and skin texture irregularities by creating micro-wounds that increase blood flow. Additionally, our collection of signature facials may be all that is needed to restore your glowing and youthful complexion. If you are interested in learning more about non-surgical facial rejuvenation, the staff at Face Center LA is here to help. Call us today at (310) 857-2088 to set up a consultation. Can Women of Color Undergo Laser Hair Removal? Traditionally, laser hair removal has only worked for women of lighter complexions and thinner hair strands. While the technology to serve women of color has been available commercially for a few years, it was not until recently that the procedure began to rise in popularity among women of darker skin tones and thicker hair follicles. At Face Center LA, we use Alma Laser technology to ensure we are able to accommodate and treat women and men of any complexion and hair type. 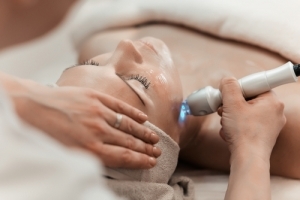 Instead of using home remedies that may be damaging your skin, or having to manually remove your hair multiple times a week with a razor or hair removal cream, you may want to consider utilizing laser hair removal to permanently relieve the labor of hair maintenance. The specialists at Face Center LA utilize the innovative technology within Alma Lasers’ Super Hair Removal™ (SHR™) method. The 810 Diode and 755 Alexandrite wavelengths are the most effective options for hair removal, and SHR™ emits both of these frequencies from a single device. The wavelengths penetrate deep within the skin to deteriorate the integrity of the hair follicle. While this may sound hazardous to the skin, the unique wavelengths actually bypass the epidermis (top layer of the skin) to get down to the hair follicles. This makes the method safe and effective for any skin color, and despite the wave intensity, the procedure is virtually painless. Over the course of six-, nine-, and 12-month intervals, clinical trials have shown a permanent decrease in hair growth using this method. Anyone who is tired of hair maintenance—regardless of ethnicity, skin tone, or hair thickness— is a candidate for laser hair removal at Face Center LA. Laser hair removal can be done anywhere, but common areas of treatment include the legs, armpits, upper lips, chins, and bikini lines. During your consultation, one of our specialists will meet with you to discuss your goals and the final appearance you would like to achieve. They will factor in all the qualities of your anatomy and provide a regimen they believe to be best suited for your particular needs. If you would like to schedule a consultation, or if you would like to get more information on whether laser hair removal will be effective for your skin tone and hair thickness, feel free to give our office a call at 310-857-2088.
https://www.facecenter.la/wp-content/uploads/2017/08/FCLA_logo_90pxh@4x.png 0 0 Face Center LA https://www.facecenter.la/wp-content/uploads/2017/08/FCLA_logo_90pxh@4x.png Face Center LA2018-05-28 14:07:282018-06-28 04:12:49Can Women of Color Undergo Laser Hair Removal? For many women, pulling the trigger on undergoing breast augmentation is a big decision that likely had a long consideration period, and the last thing any woman wants to do is jeopardize the results of her procedure. In order to ensure that you receive the best possible results after you’ve healed from your breast augmentation surgery, we have put together a list of 5 strategies you can follow during your recovery. The first few days of recovery are typically the worst in regards to pain and discomfort. We have found that patients who take a little extra time to set up their resting area before surgery have the easiest time during their recovery process. Remote controls, cell phones, chargers, snacks, drinks, and medications are all items you can place strategically close to your recovery station prior to the surgery to save yourself the hassle of needing to leave bed while you’re healing. It is extremely important to ensure you have a reliable means of being transported home after surgery. You will likely still be experiencing some of the effects of the anesthesia or other medication by the time you are discharged, and you will be required to have someone present with you who can drive to ensure you get home safely. Give this person as much notice as possible, because if you wait and are not able to lock someone down last minute, there is a strong possibility you will not be allowed to undergo surgery. We get it: being confined to one place during your recovery can cause all of those day-time television shows to blend together and make it easy to lose track of time and your sleeping habits. Unfortunately, when you don’t keep track of the hours, it is likely you will be putting yourself through unnecessary levels of pain or otherwise avoidable complications. It is important to take the medications you are prescribed at the times instructed. Setting periodic alarms on your phone or other smart device is an easy way to avoid missing a dosage. It is common for patients to wake up in severe pain because they slept through a dosage. If you miss your pain medication, even by less than an hour, it will take some time for the medication to re-enter your system, which means that you will have to deal with that pain until the medication finally takes effect. If you are prescribed antibiotics, missing a dose could mean jeopardizing the entire regimen and putting yourself at risk for infection, which can be a very serious and dangerous complication. For most people, finding enough time to sleep is a rare luxury. We are surrounded by work, social, and other obligations that keep our bodies from ample amounts of rest. During the recovery period, take advantage of the opportunity to catch up on all the rest you have missed out on in the past week, month, or year leading up to the surgery. Not only is it a luxury you will rarely find yourself having, but it is also medically imperative that you limit your physical activities and provide your body with plenty of sleep to ensure a swift recovery. Remember those snacks we mentioned earlier? 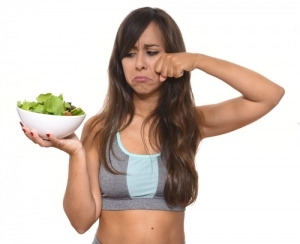 While munching down on a family-sized bag of chips or slowly making your way through your favorite slow-churned gallon of ice cream might make you feel better emotionally and spiritually, it is in your best interest to swap out those sugary soft drinks and highly processed snacks for water and other nutritious options. The speed and quality of your recovery are solely determined by your body’s healing ability; providing it with the nutrients it needs to hone this process can have drastic effects on your final results. After every procedure, the doctor and nurses will go through the instructions you will need to follow in order to avoid infection and to ensure the optimal healing of scar tissue. Avoiding these instructions can cause permanent damage to the appearance and integrity of your operated area. In many cases, you may be asked to wear a specially designed supportive bra to prevent damage to the incision areas. By following these 5 steps (yes, even step number 4), you will provide yourself with the most optimal healing results and bring yourself much closer to your ideal breast augmentation. If you have any questions about the healing process or what constitutes a “healthy” snack, or if you would like to schedule a consultation for a breast augmentation, feel free to contact our office at 310-857-2088. For many people, wrinkles, cellulite, and loose skin are an unfortunate, unwanted part of the aging process. Many men and women turn to plastic surgery to help alleviate some of these issues we all begin to face at some point in our lives, but there is another option that can offer results that rival even the most effective plastic surgery procedures. The best part: it is completely non-invasive and painless. JuVaShape™ is a non-invasive procedure that utilizes state-of-the-art radiofrequency technology to combat the aging process. After massaging the skin at a frequency of 40.68 MHz, the body naturally excretes unwanted cellulite cells, creating instant and noticeable results in the most problematic areas in the face or throughout the body. The nature of the procedure allows our doctors to pinpoint problem areas to focus on to ensure the most effective results per visit. Unlike plastic surgery, there is no recovery time or postoperative follow-up appointment required. Incisions, grafts, anesthesia, nips, or skin tucks have no place in this procedure. In fact, most people who undergo this treatment often liken their experience to a warm massage. What Can JuVaShape™ Help With? JuVaShape™ is a versatile procedure that can be used for a variety of issues that many people traditionally turn to plastic surgery for. The concentrated thermal energy of the procedure loosens cellulite while simultaneously tightening the surrounding skin, resulting in a smoother, slimmer final appearance. After the procedure, you can expect immediate results throughout any massaged areas. Depending on the sensitivity of the treatment area, you may experience mild swelling or redness. For more information or to schedule an appointment and determine the best JuVaShape™ program for your needs, call 310-857-2088.